Latvia is located in the Baltic region and it has innumerable benefits that businesses would vouch for every single time. This country is strategically located and it has easy access to all other Schengen and Baltic countries, thereby making it a very promising investment market. The location and government friendly policies have made the Baltic nation an excellent haven for investment. The most sought after sector for investment in the country is real estate, as it is high in demand and you tend to get lucrative returns once you invest in the business. You can avail some programmes that can help you get immigration visa to Latvia. The first in the list is “Temporary Residence Permit”. Under it, you are supposed to either deposit EUR 300,000 in Latvian bank for acquiring the visa, or you will have to invest EUR 1, 50,000 in the real-estate sector, and the investment should be in major cities like Riga. You can look forward to one more way to get into the nation, the business investor immigration. Under the category, you will be asked to start a business in Latvia and for that you have to make a seed capital investment of EUR 70,000. In most of the cases, people find the real estate investment as a safe and affordable route to make sure that they are able to get immigration visa to Latvia. Under the real estate investment, if you want to make sure that your application is considered and you effectively move to the country, make sure that you choose those areas which are emerging or have emerged as economic engine of the country. So, if you are proposing to make investments in the capital city of Latvia, the probabilities of moving to the country will multiply by manifolds. 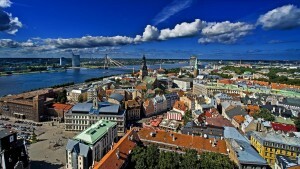 But when you think of Riga, you will have to loosen your pocket to a large extent. You must make an investment to the tune of $1, 88,000 in Riga for securing your berth as immigrant and promising contender to contest for permanent residency (PR). However, in other parts of the country, you can have some respite from the investment’s angle. You will be asked to invest just $94,000 for streamlining the immigration. There is one more condition that must be followed while making the investment: you must purchase the property only from a Latvian resident. So, keep note of that while investing in the real estate in the country. In the second category, you can go for business investment immigration. Under it, you are supposed to make an investment of $1, 88,000 in the Latvian share market. Of the amount mentioned before, you will have to spend $47,000 in any company that is based in the country. The company that you have spent your money must pay US$ 37,600 as taxes in one full year for making the investment bonafide. In case you have been able to live up with all these requirements, acquiring immigration visa to Latvia will never look like a difficult ballgame. Previous Post: Looking for Canada Immigration Consultants? What Skills You Must Look Forward To?